The iPhone X camera has been put to a 4K video test, going up against Panasonic’s GH5, a professional mirrorless camera which retails for $2700 CAD alone just for the body. Fstoppers shared the results of their 4K video test, and were impressed with the iPhone X’s video capabilities. 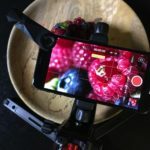 Lee Morris says people should not doubt video quality out of iPhones, as they’ve shot commercial footage with older models that are being played everywhere, including a recent spot for the Fuji GFX. 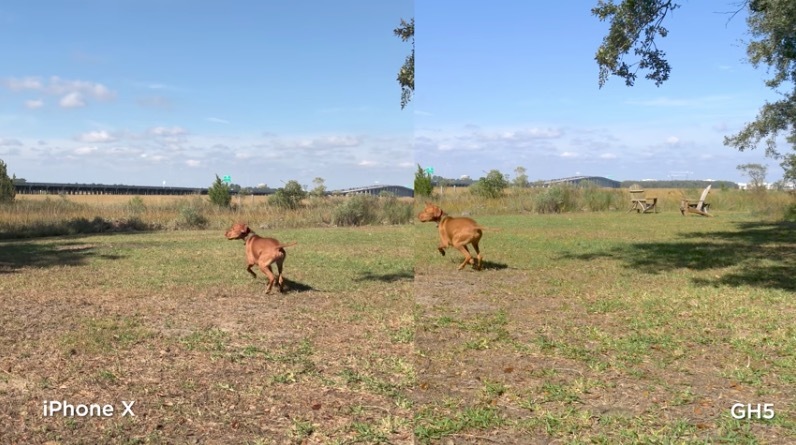 Morris says the iPhone footage has a “vibrant” colour profile baked right in, and said “everybody in the office” chose iPhone X footage in their first video test. But when zooming into video, the GH5 obviously showed clearer image quality with less artifacts. For YouTube work though, Morris says using an iPhone X would make it hard for people to notice any difference. When it comes to low light, the iPhone X does struggle a bit, so Fstoppers concludes if you have lots of light, shooting with an iPhone X will result in amazing footage. Back in 2015, Fstoppers also shared a 4K video test with the iPhone 6s, which they concluded to favour over their more expensive professional Nikon dSLR setup.